Tripoli - At nearly 3:00am on 14 February, a truck accident occurred, leaving 19 people dead and 49 people injured near Bani Waleed in Libya. The migrants on board reported that 180 people were crammed into the truck's cargo containers. They also said that the smugglers' truck crashed when it drove into a large hole in the road; overloaded with people, it became unbalanced. Out of the total migrants involved, approximately 138 were Eritrean, while the remaining were Somali and Ethiopian. The area where the incident took place was 60 kilometres south-east of Bani Waleed, a transit location on a much-used migration route through the country to the coast. The smugglers were transporting the group of migrants from As Saddadah to Tarhuna. Of the 19 reported victims, four were children, one was an adult woman and 14 were adult men. The wounded are reportedly to include ten children, nine adult women and 30 men. IOM staff living in the area went to the scene to see what assistance could be provided. They helped transport some of the injured migrants to the local hospital. Two IOM doctors travelled to the hospital to support the emergency medical response. 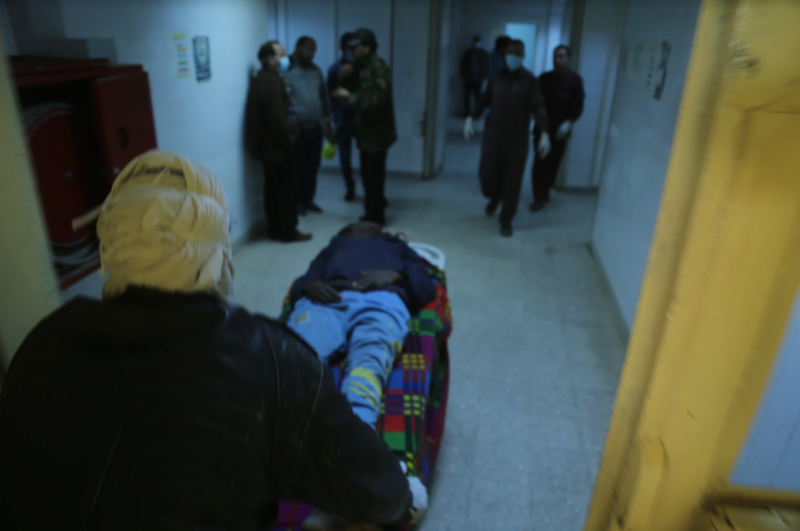 Together with the hospital staff, they assessed the cases, four of which IOM organized to be transferred to Tripoli due to the serious nature of their head injuries. All four are in critical condition in intensive care units. IOM is supporting the hospitals where they there transferred to with medical supplies. There are six more cases in Bani Waleed hospital requiring referral to Tripoli. All of them have multiple injuries and some serious fractures requiring immediate surgery. Médecins Sans Frontières (MSF) is working on these transferals. Many of the migrants, who were involved the accident are reported to have been taken by the smugglers to an unknown location. "Our priority needs to be protecting these migrants and others throughout the country, while making migration through Libya safe and regular," said Othman Belbesi, IOM Libya Chief of Mission. "One death whether in the desert or at sea is one too many," said Belbesi. According to IOM's Displacement Tracking Matrix (DTM) report last December, there were over 621,000 migrants recorded in Libya but the true figure is estimated to be over 700,000, with the majority coming from Egypt, Niger, and Chad. Many migrants in Libya have faced ill-treatment and exploitation. IOM’s top priorities continue to be saving migrant lives, reducing irregular and unsafe movements of people along the central Mediterranean route, breaking the grip of traffickers and smugglers, identifying vulnerable persons and persons at risk throughout the migration process and assisting them, and improving conditions for migrants stranded in Libya. IOM provides humanitarian support to migrants in Libya, while advocating for improved longer term assistance and protection for them and all groups in the country.